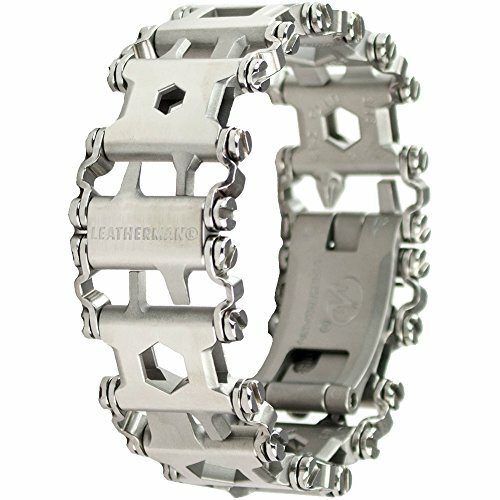 Leatherman Tread Bracelet - Moar Stuff - You don't need it but you know you want it. FEATURING 29 TOOLS: #1-2 phillips, ¼" box wrench, 3/16" screwdriver, 6mm hex drive, ¼" hex drive, oxygen tank wrench, 3/16" hex drive, 1/8" hex drive, 3/16" box wrench, 3/32" hex drive, 3/32" screwdriver, 1/8" flat screwdriver, 4mm hex drive, 8mm box wrench, 3mm hex drive, 5/16" screwdriver, 3/8" box wrench, ¼" flat screwdriver, #1 phillips, 6mm box wrench, #2 phillips, carbide glass breaker, pick/sim card tool, cutting hook, ¼" socket drive, bottle opener, #2 square drive. 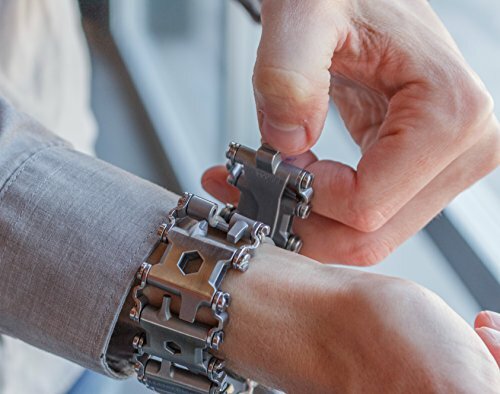 WEARABLE MULTI-TOOL: A collection of interchangeable links, each designed to offer a variety of tools that allow you to solve everyday problems or respond to more critical situations. 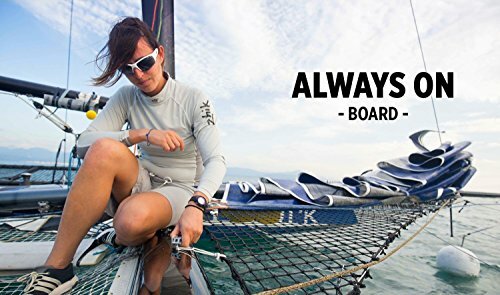 Wear the Tread not only for the things you can accomplish, but how it looks on your wrist. 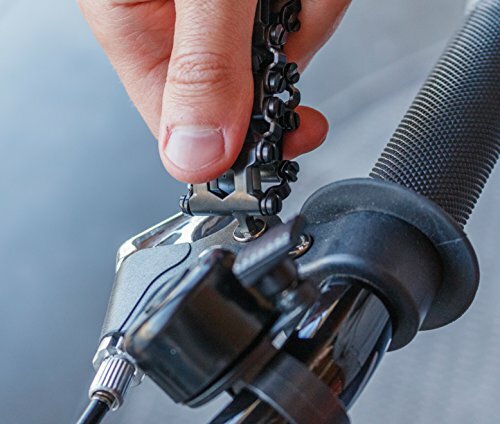 BE PREPARED: The greatest multi-tool is the one you have when you need it. Tread empowers you to solve those everyday problems or respond to more critical situations. You will be surprised as well as inspired by the diverse number of opportunities you will have to use this handy problem-solver. 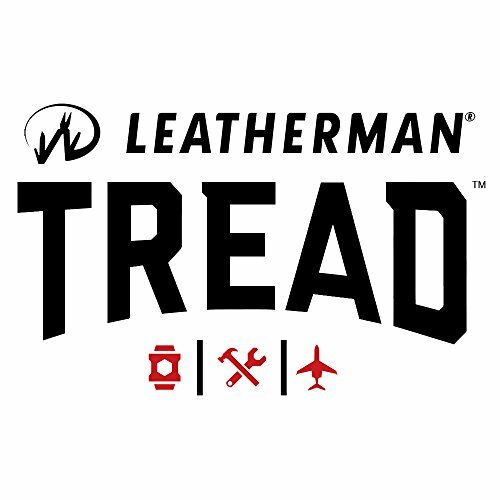 GOES ANYWHERE: Tread doesn't ever need to leave you. Ever! Tread goes anywhere you go. On the plane, to school, out to dinner, to the office, to Disneyland with the family, hiking in Patagonia, or salmon fishing on the Alta River in Norway. 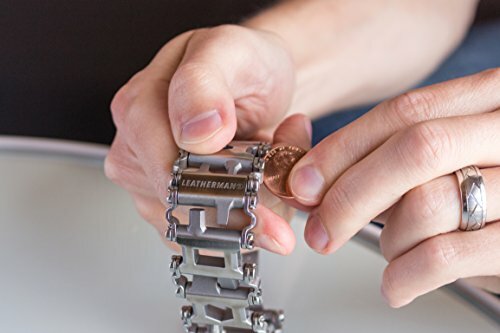 The Leatherman Tread Bracelet is a useful and easily portable multi-tool. In addition, it’s one of the few multi-tools that you can actually customize. Basically, it’s like a Pandora bracelet for MEN. Except that it’s actually useful and isn’t just a thinly veiled scheme to trick you into buying new trinkets all the time. 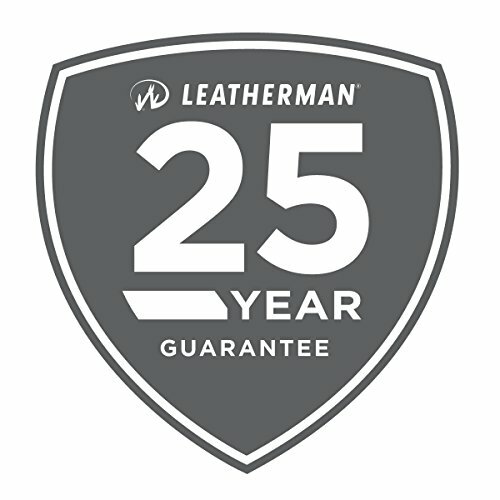 It is offered in 2 colors and comes with all 29 different tools on 10 links that you can switch in and out to create the perfect multi-tool for your needs. In addition to being customizable (which is damn awesome) it can be taken on a plane. 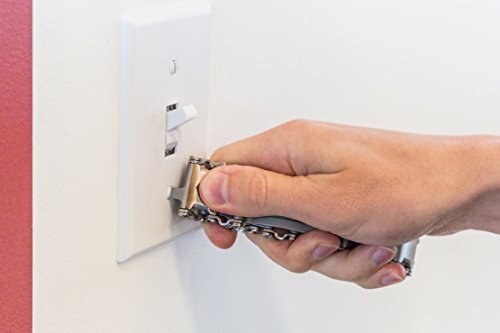 Try to do that with your normal multi-tool without getting a free prostrate exam from the TSA – I dare you..
Let’s face it, the best multi-tool is the one you have when you need it. Since you can take this one anywhere, you will have it at your disposal to solve those everyday problems or respond to more critical situations. And last, but not least, it looks really cool on your wrist. Oh, if you absolutely need a multi-tool that includes pliers but is still really convenient to carry, check out the SOG Sync II Belt Buckle Multi-Tool. Since you already have to take off your belt (and before too long at the rate things are going, your pants) you could probably get it through a TSA checkpoint with probably only a bit of light groping. Color: Stainless Steel or Black. Includes 29 different tools: #1-2 phillips, ¼” box wrench, 3/16” screwdriver, 6mm hex drive, ¼” hex drive, oxygen tank wrench, 3/16” hex drive, 1/8” hex drive, 3/16” box wrench, 3/32” hex drive, 3/32” screwdriver, 1/8” flat screwdriver, 4mm hex drive, 8mm box wrench, 3mm hex drive, 5/16” screwdriver, 3/8” box wrench, ¼” flat screwdriver, #1 phillips, 6mm box wrench, #2 phillips, carbide glass breaker, pick/sim card tool, cutting hook, ¼” socket drive, bottle opener, #2 square drive. Customizable: 29 different tools in 10 links can be assembled multiple ways to customize this multi-tool to your needs.